EAST AURORA, N.Y.--(BUSINESS WIRE)-- Astronics Corporation (Nasdaq:ATRO), a leading provider of advanced technologies for the global aerospace, defense and semiconductor industries, announced that its wholly owned subsidiary, Astronics AeroSat, is introducing its next generation FliteStream™ T-310 SATCOM connectivity solution for business aircraft. Astronics is offering the FliteStream T-310 solution to the business aircraft market in partnership with Satcom Direct (SD), the launch customer, as part of its SD Xperience end-to-end solution. 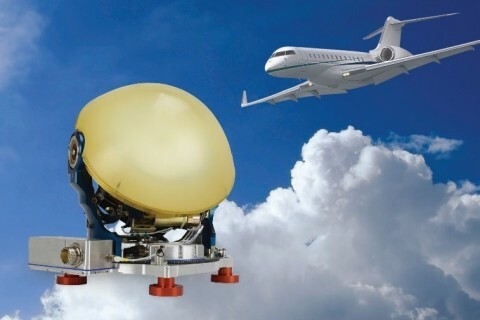 The T-310 is fully qualified and approved to operate on the Intelsat FlexExec business aviation network. The FliteStream T-310 SATCOM connectivity solution includes the next generation iDirect CX780 modem, providing compatibility with both Ku-band wide beam and high throughput spot beam satellite (HTS) networks. Astronics AeroSat will showcase its SATCOM connectivity solutions at the National Business Aviation Association Convention & Exhibition (NBAA) in Orlando, FL, from October 16 through November 18, 2018. For more information visit Astronics AeroSat in booth #214. Note to editors: The Astronics FliteStream T-Series system will be on display at NBAA, in Orlando FL, October 16-18, in the Astronics booth, #214. Please contact press@astronics.com to set up a media briefing.